I’ve just spent some of the morning clearing out the last of the broad bean plants to make way for the summer planting of tomatoes, eggplants and peppers. I now have a large container of broadbeans sitting on my bench that range in size from babies to monsters. Using the baby ones is easy, they’ll go into salads. Medium sized ones can be double peeled and used in salads too. This involves podding them, cooking and then squeezing the seed out of the grey seed case. 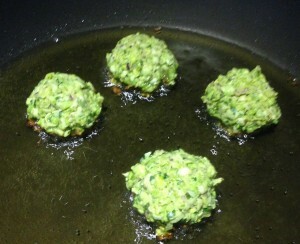 They look like beautiful bright green jewels when done this way. But the larger ones can be a challenge. If they get too big they are starchy and not very nice at all. I have really bad memories of large, boiled, grey, starchy broad beans from childhood that took a long time to erase. I only really started to like broad beans after I grew them and picked them while they were small. So what to do with the monsters? I like to make falafel. 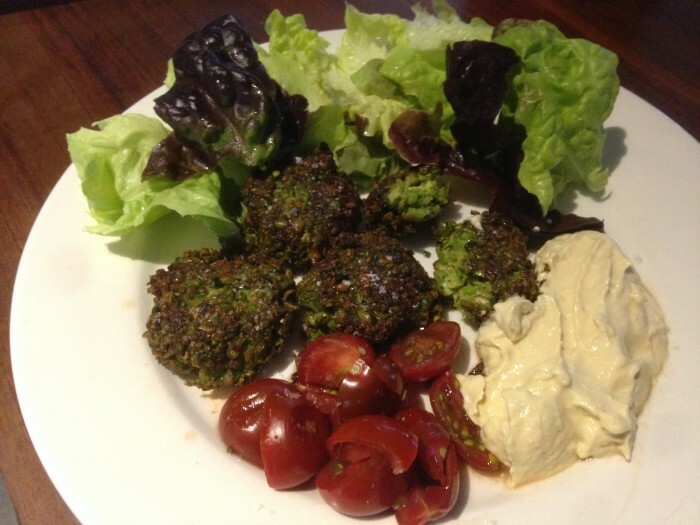 Most often falafel are made from chickpeas. In Egypt they are made from broad beans, though they are soaked dried ones. When made with fresh broad beans they make a beautiful falafel with a pale green interior which is accentuated with brighter green flecks of parsley and coriander. I ate them with some green salad, tomato, hummus and some turnip pickles. Pulse until it resembles coarse breadcrumbs. You don't want a paste, it needs a bit of texture. Aim for pieces about 1mm. When it is right you will be able to squeeze it into patties and they will just hold together. Fry in oil until a crispy dark golden brown. I used about 1cm depth of oil. Don't turn them too early otherwise they might fall apart. Drain on paper and serve. Great recipe!! Do the broad beans need to be cooked first and do they need to be double peeled?